Published June 16, 2013 at 584 × 581 in Wild Rose. Hi. 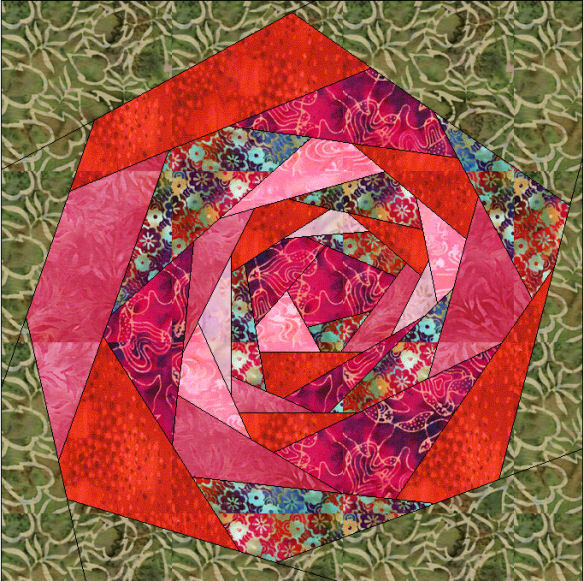 I am going to attempt this beautiful pattern Wild Rose for a guild swap. I’ve enlarged to the size I need. I appreciate that you do not offer directions. Can you simply inDicate what method you used? Did you create this in “crazy” style freeform as you went or did you use paper piecing or did you cut out marked pattern pieces for every piece? Then I will know how to approach this challenge! I love this rose. I want to use it in a quilt.